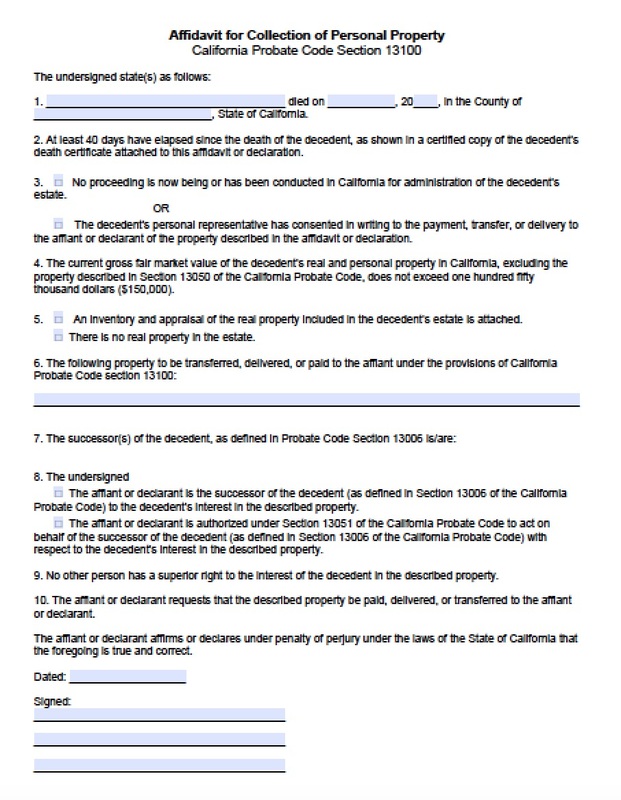 The California Affidavit of Heirship is used by administrators to determine ownership of real and personal property in the estate of a deceased relative, especially if the property was not specified in the decedent’s will or there is no will at all. The determination must be started in the county of California where the decedent lived. The affidavit will then be filed in the county’s official land records office. 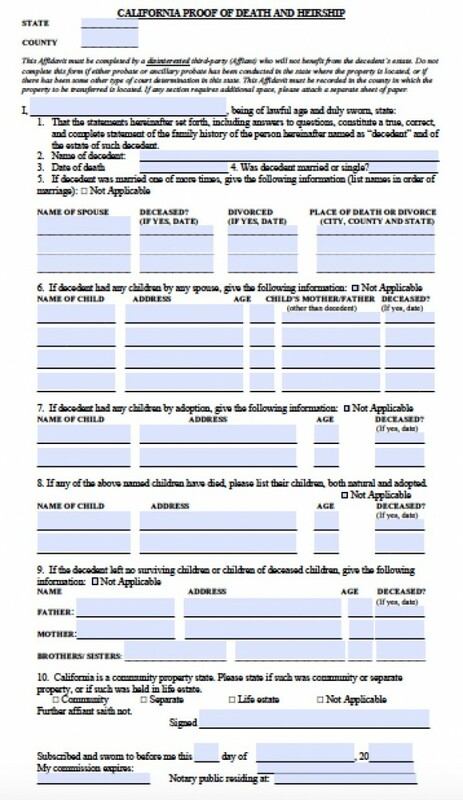 See California Probate Code §§ 13100 – 13116 for more details.